Black metal chair from Present Time. This iron bar chair can be used both indoors and outdoors. Very nice to combine with the bench from the same line Lineate. 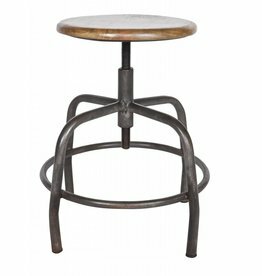 Sturdy metal stool from vtwonen home collection, Spider. 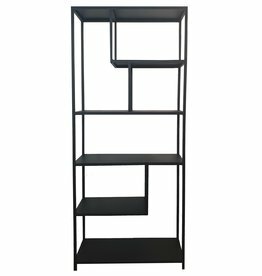 Black metal cupboard storage cupboard Spring by Stoer Metaal. 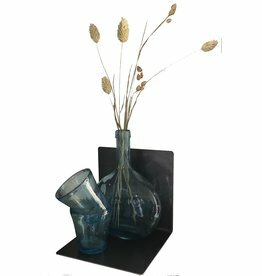 Gold metal planter Guus on Woood standard. Black metal bench Lineate by Present Time.